Blueberries are my favorite muffin. I can remember spending the night at my best friend's house when I was a kid and making a box of blueberry muffins for breakfast. We each got three - we had to share with her younger brother. So good! 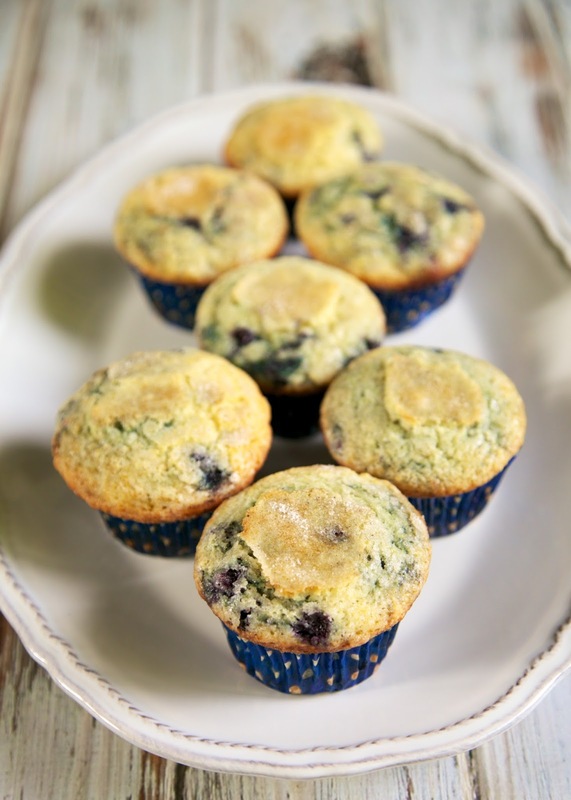 I still love the boxed blueberry muffins on occasion, but I also love to make homemade muffins. 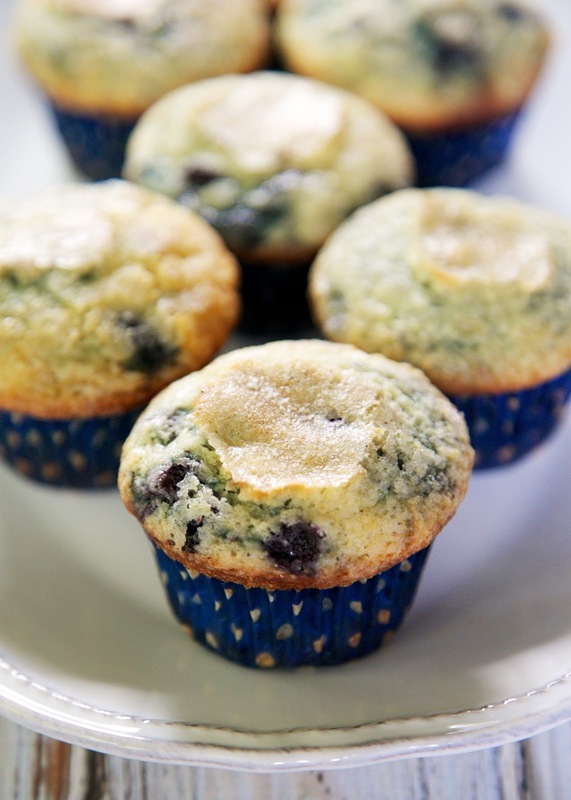 These are one of the best blueberry muffin recipes I've made. The muffins were so delicious! I loved the crunchy sugar on top. I made them for breakfast and we ate them for several days. We liked them warm with honey butter. They would also be great with my Cinnamon Honey Butter. Preheat oven to 350. Line muffin pan with cupcake liners. In a large bowl, combine flour, sugar, baking powder, salt and cinnamon. In another bowl, whisk together oil, butter, vanilla, eggs and milk. Make a well in the dry ingredients and pour in the liquid ingredients. Mix until just combined. Gently stir in the blueberries. Scoop batter into prepared pan. Sprinkle with additional sugar.